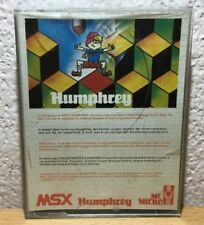 Home » Forum » MSX Talk » Development » Binary files in basic, how ? Binary files in basic, how ? Anyone has seen this bug before ? about 40 seconds on a 7mhz msx, so that is not to bad. ;Requires MSX-DOS, but easy to port as BASIC BIN-file if needed. what changes are needed to run from BASIC? Well... lazy is bad, but tips are free. Basic programs don't accept natively file names as parameters, so you need to create the FCB by other means, like custom "Input filename"-BASIC program. Other than this problem you need to change all "CALL 5" by "CALL #F37D" and if you don't want to change the RAM buffer to higher address then you need to enable RAM to #4000-#7FFF before the loading and select BASIC again after loading using ENASLT (#24)... Program naturally also needs to be loaded to address => #8000... Other than these minor details the program should work just fine. Just save the binary file with header pointing to 00 00 as the start address and it should work in theory, right? At least on MSX2 we have this COPY-command that can be used exactly like this without need for the custom 7-byte header. We are talking about reading a file and "squeezing" it through an I/O port. AFAIK, There is no [COPY "file" TO ioport]. I didn't wanted to work from DOS because I'll still have to switch back to BASIC to do some other stuff. Indeed... I was talking about the idea of loading file to an array. If you decide to go with CALL-command, you need to write loader for it that moves it to #4000 in RAM and updates call statement extension flag (bit 5) in RAM slot location, offset 1 of slot attribute table. Please remember to keep the data transfer address in free RAM area. If the files you plan to send are large you may want to split the loading ie. to 8KB blocks and just loop the loading / sending part until all is sent. There should be enough space for the file buffer after your program it self. This is not needed if you soft reboot the computer after loading so that it will initialize all "cartridges" again, but as you may imagine, that is not very handy or even working option if your boot disk has DOS. Little update... I added this routine & another example inside CALL-command Wiki-page. Please help me I code the RADIOLA VG5000µ in assembly but I want to know how to do with msx.